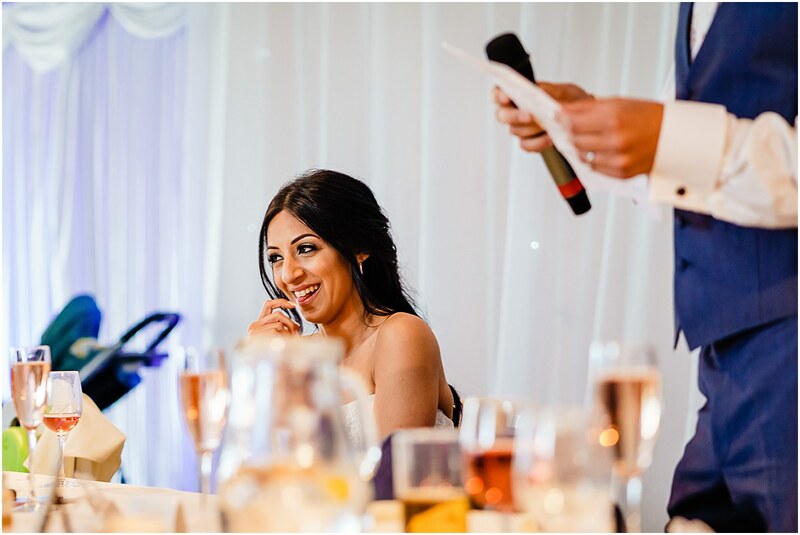 I had a beautiful time a few weeks ago at the wedding of Shareen and Mark. 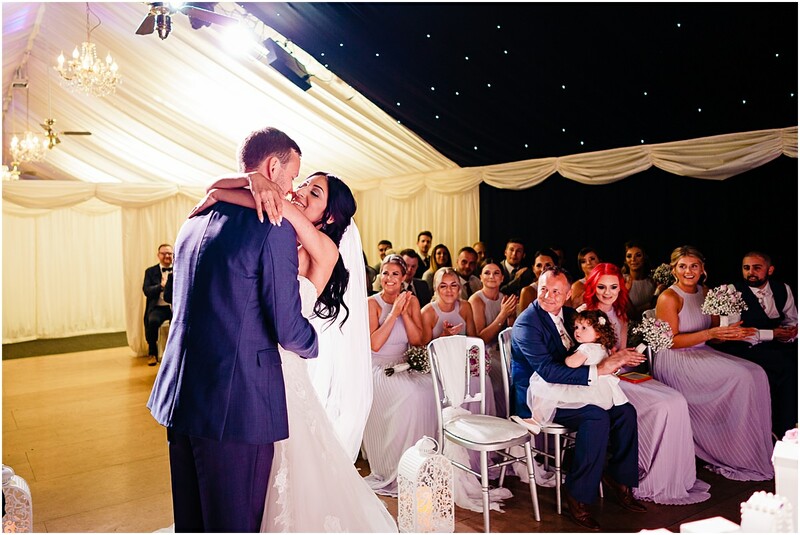 They were married at Heaton House Farm in Macclesfield which is in the county of Cheshire. 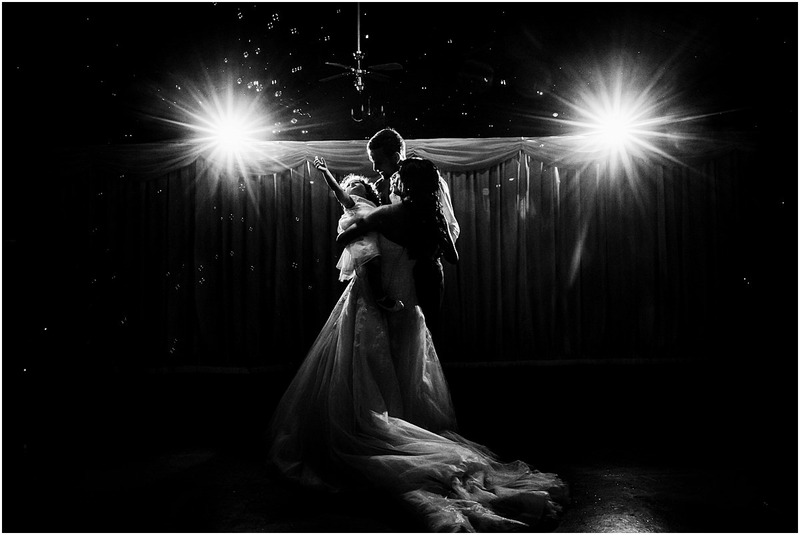 I’m proud to be a recommended photographer at Heaton and always love going back to shoot wedding there. 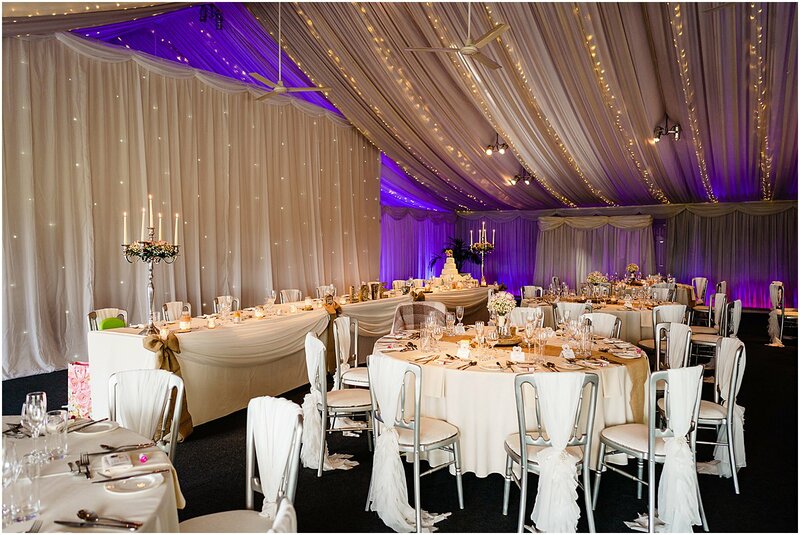 The venue is a blend of rustic and bling, it sounds like it shouldn’t work but somehow, it really does. 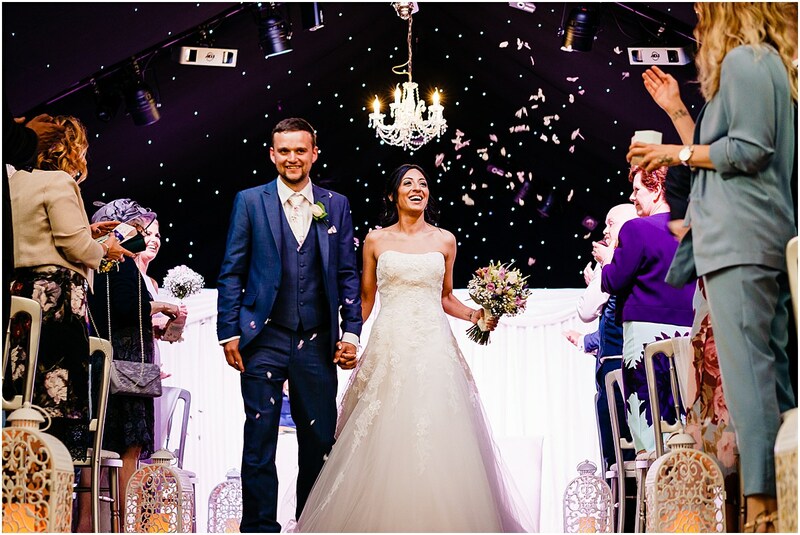 Having miles of unspoilt vies and countryside you couldn’t ask for a more marvellous venue to get married at. 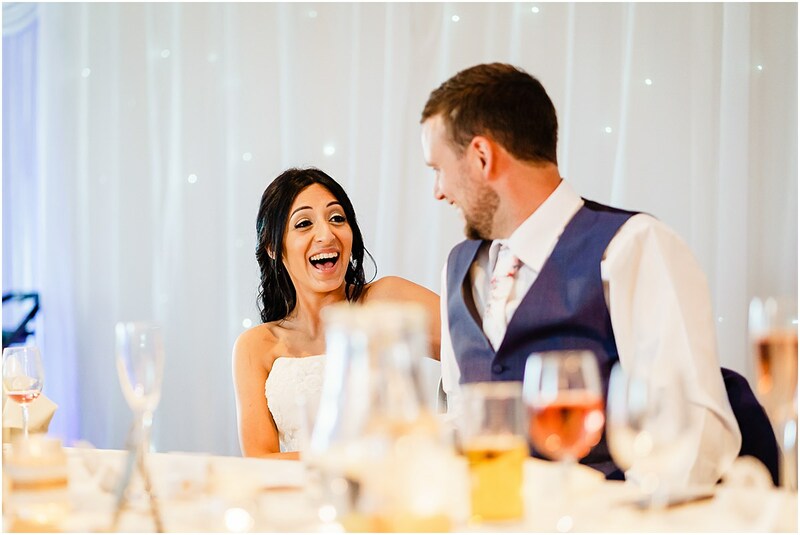 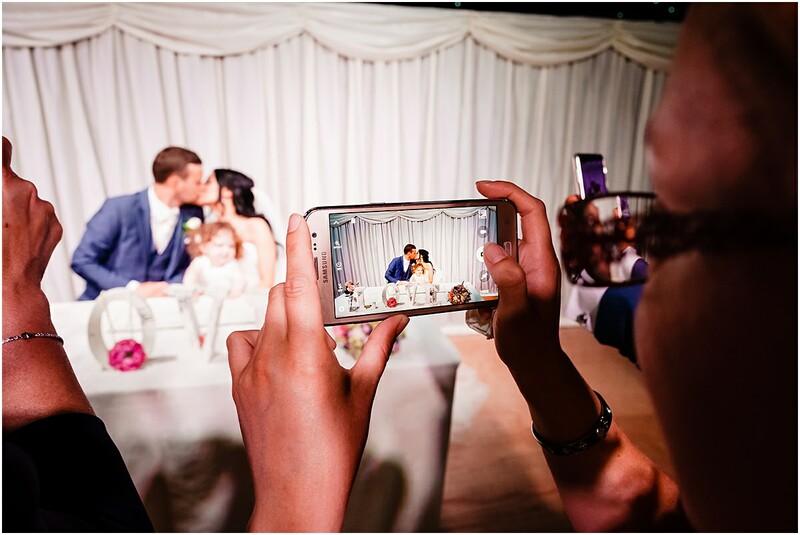 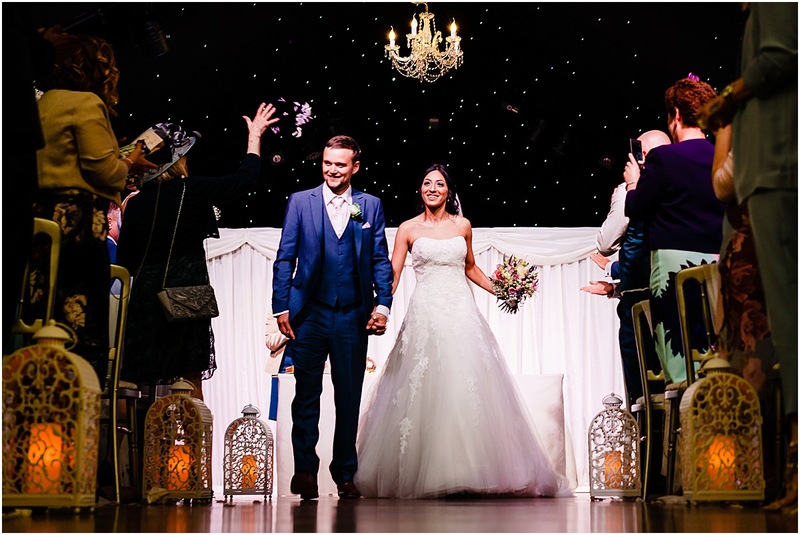 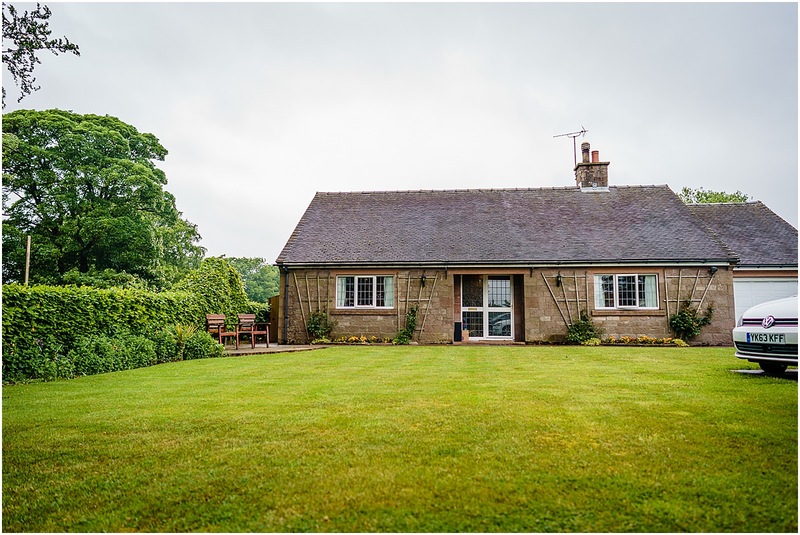 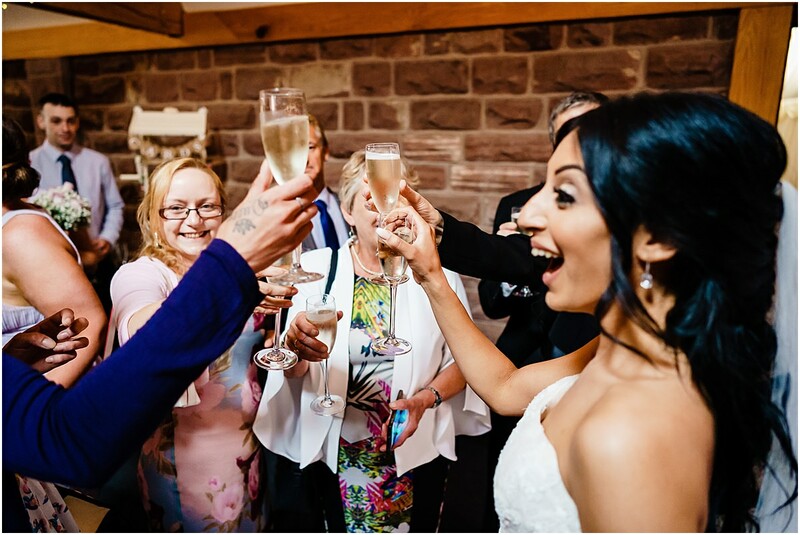 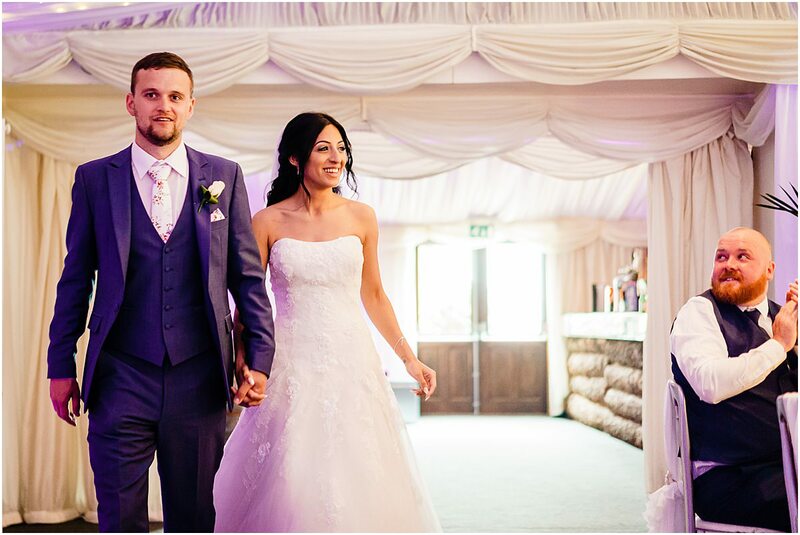 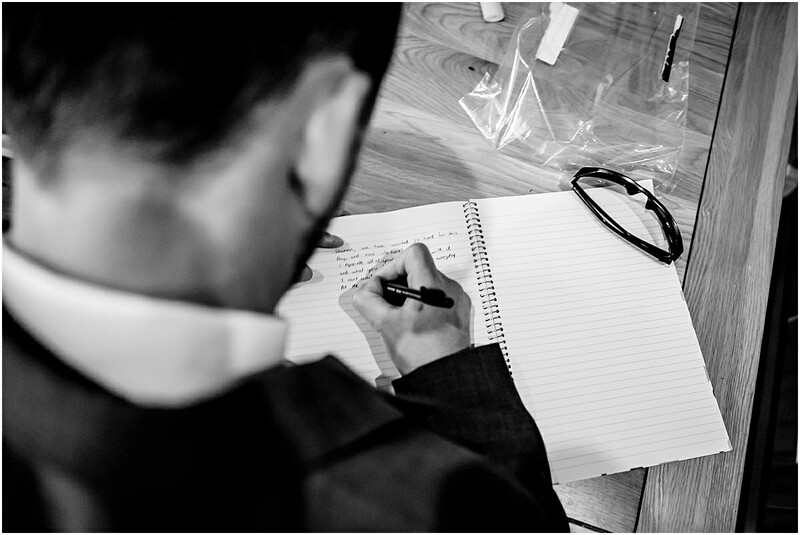 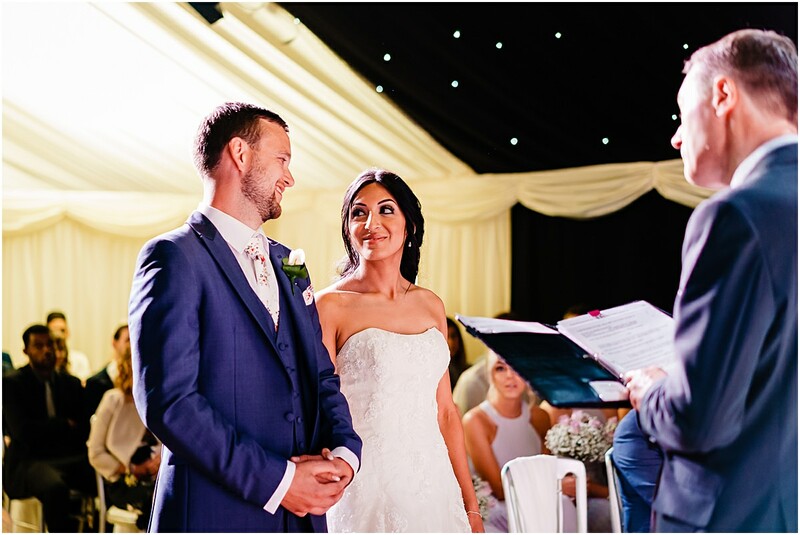 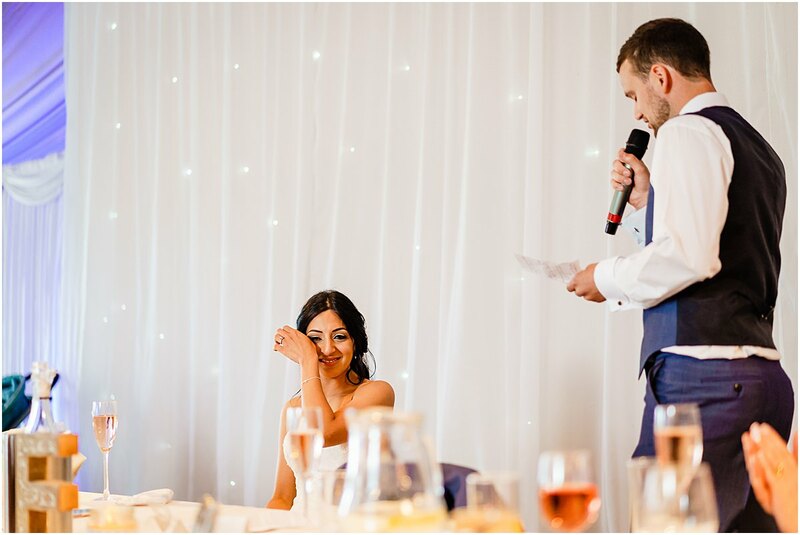 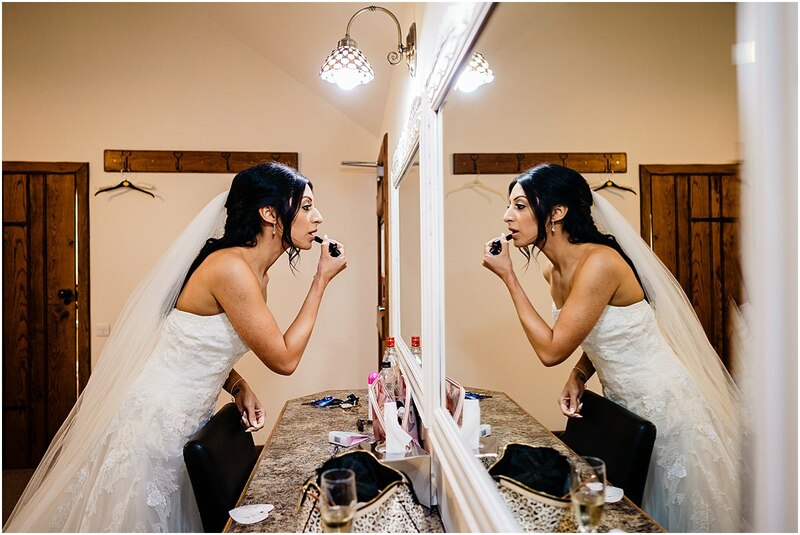 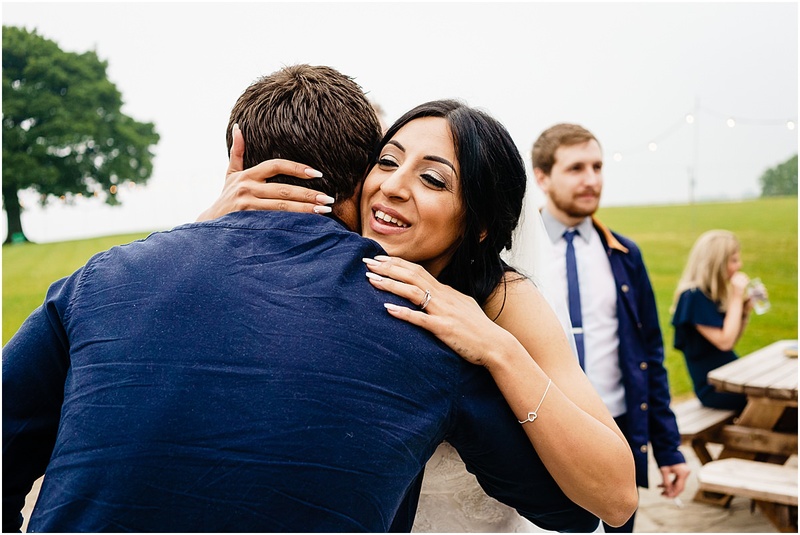 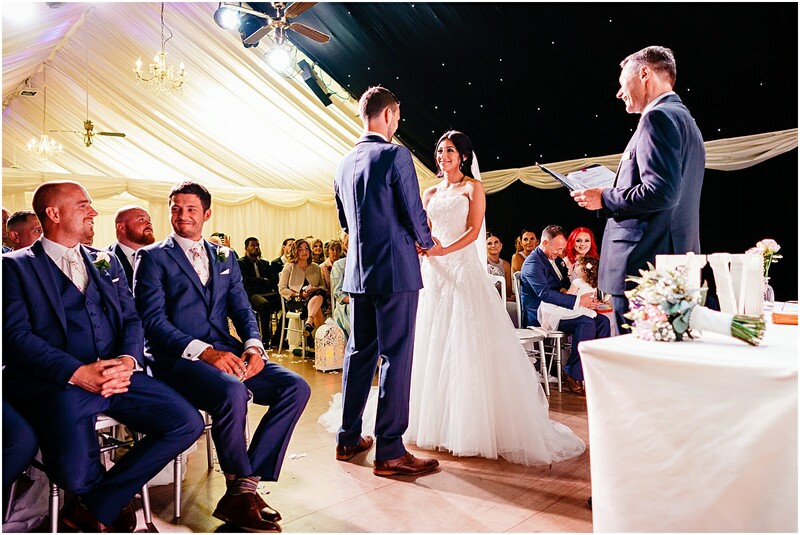 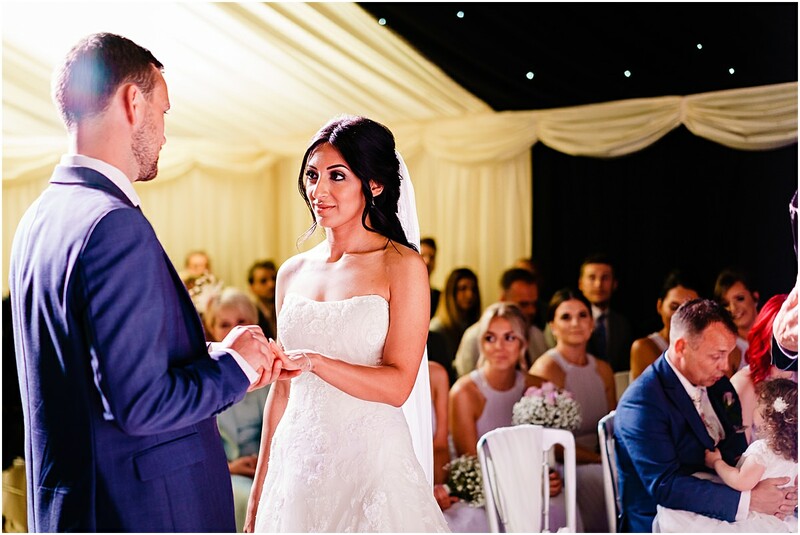 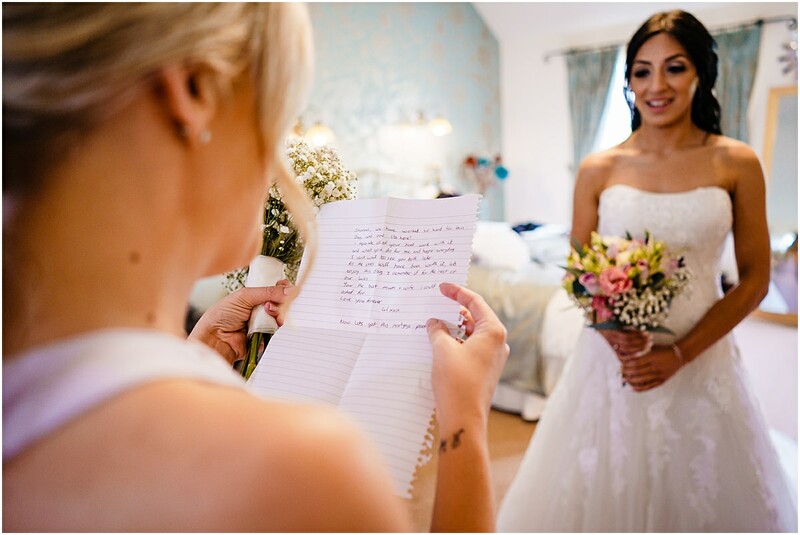 All wedding stories begin with bridal prep and Shareen’s story started at Heatons Cottage. 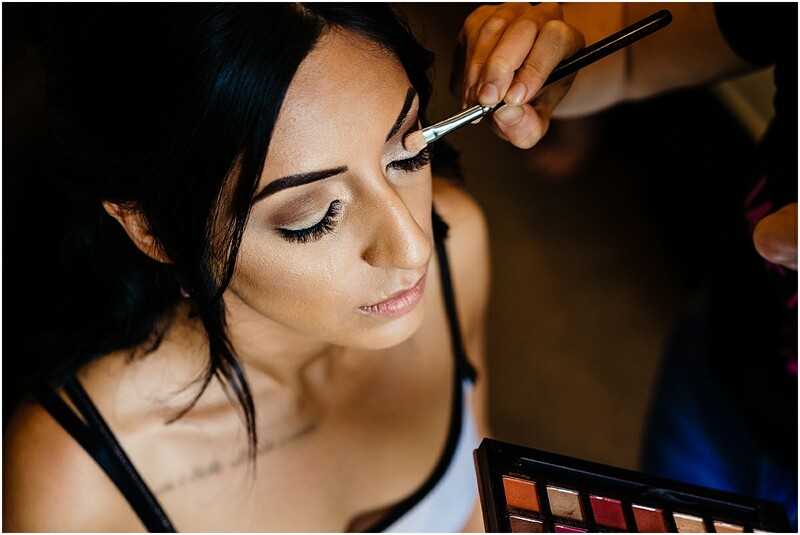 I shot Shareen having her hair and makeup applied whilst the atmosphere got more and more exciting. 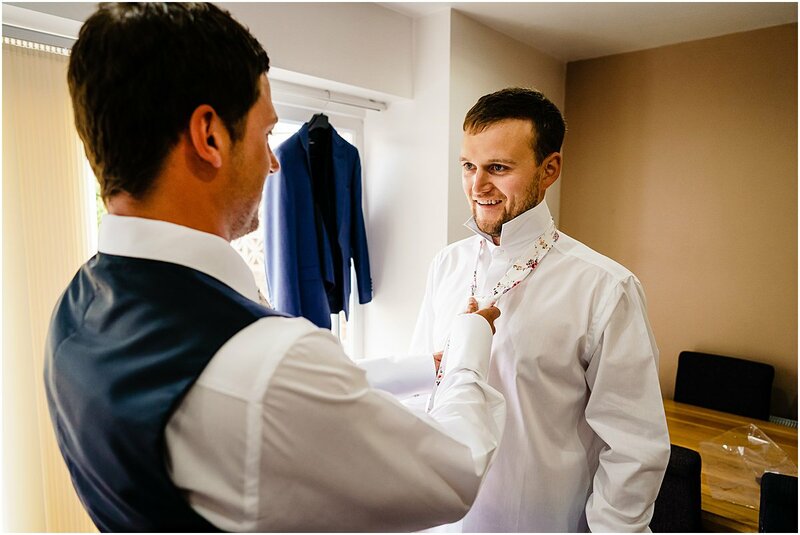 On the way over to Shareen I called in to see Mark and the guys getting ready. 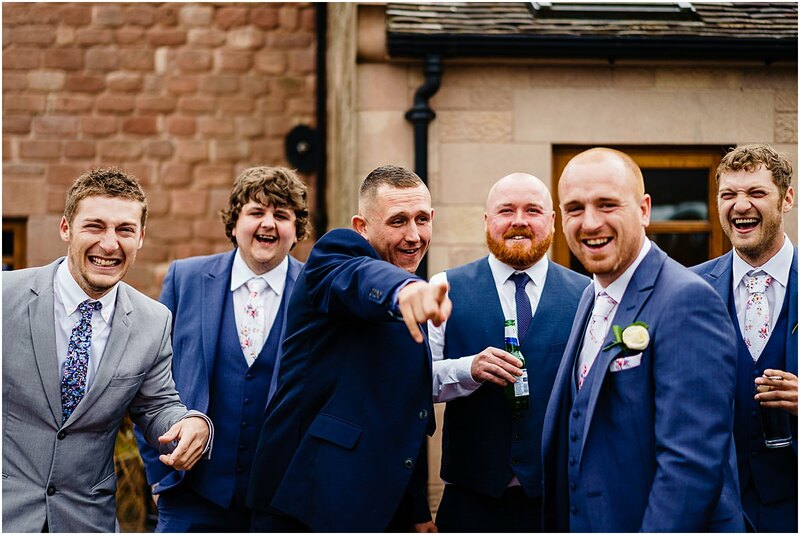 Mark had his groomsmen on hand to help him out and was soon picked up in a Bentley. 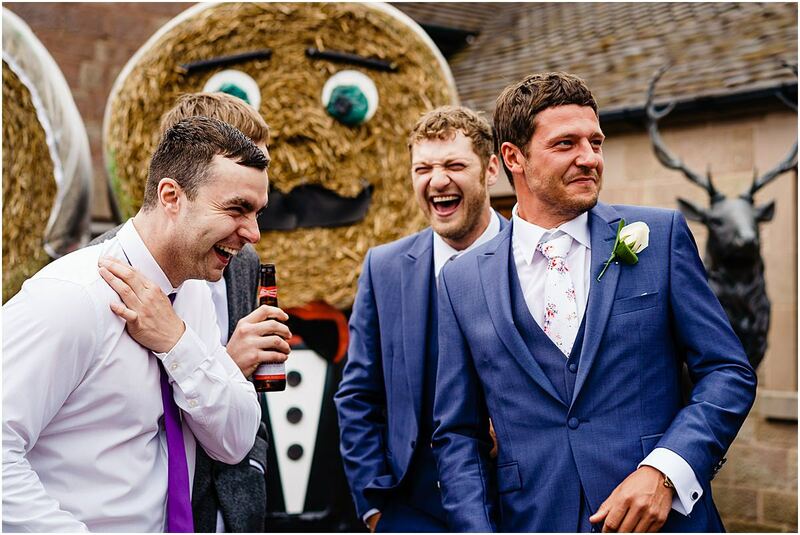 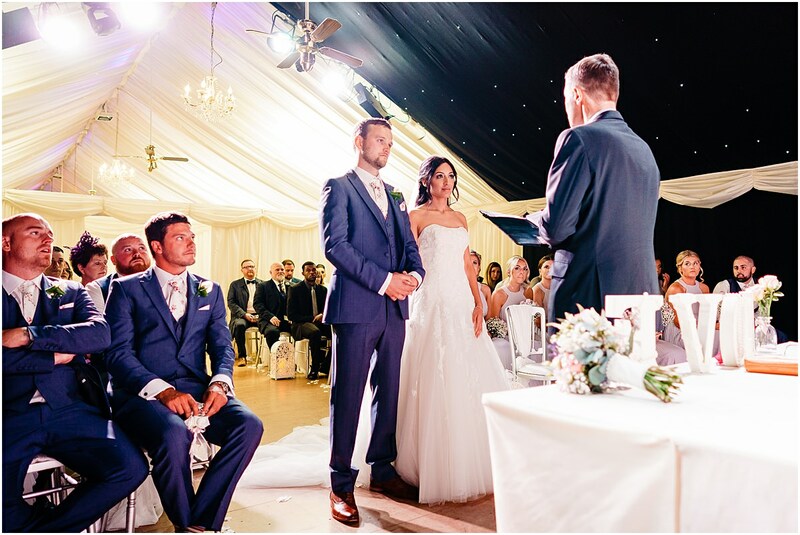 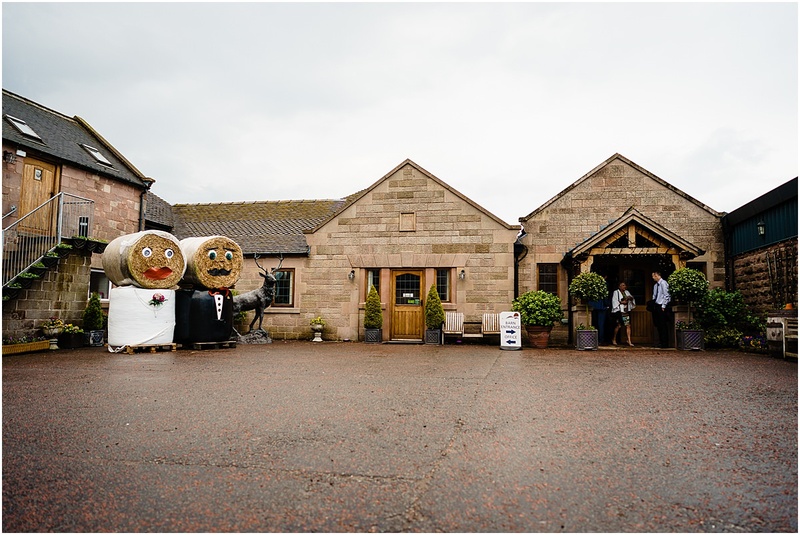 Heaton House farm has a number of options for wedding ceremonies. 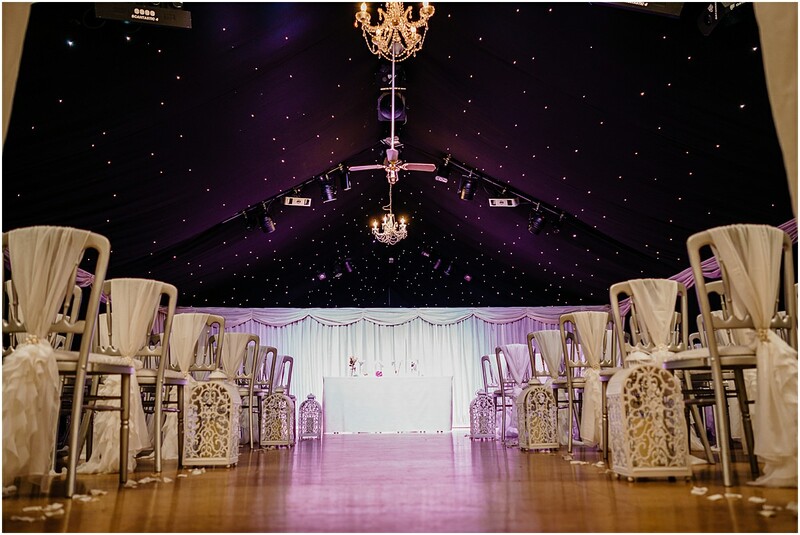 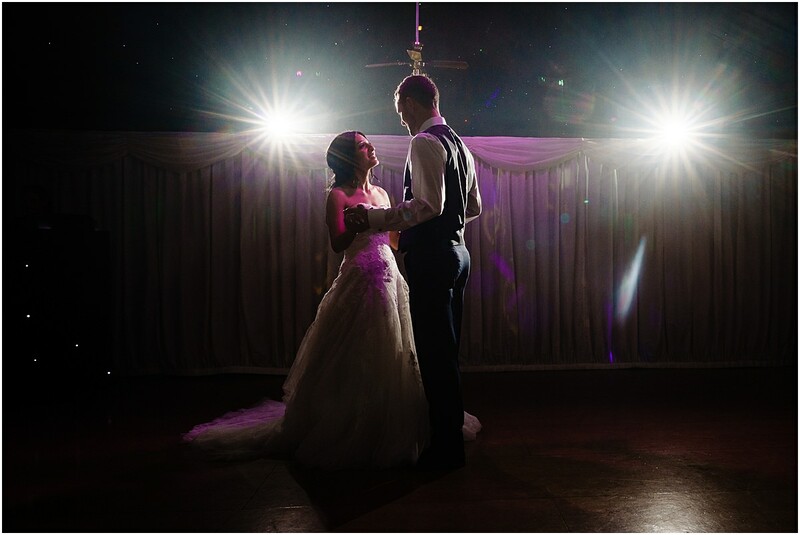 Mark and Shareen had chosen to get married Under The Night Sky, which is a ceremony room lit with very atmospheric lighting. 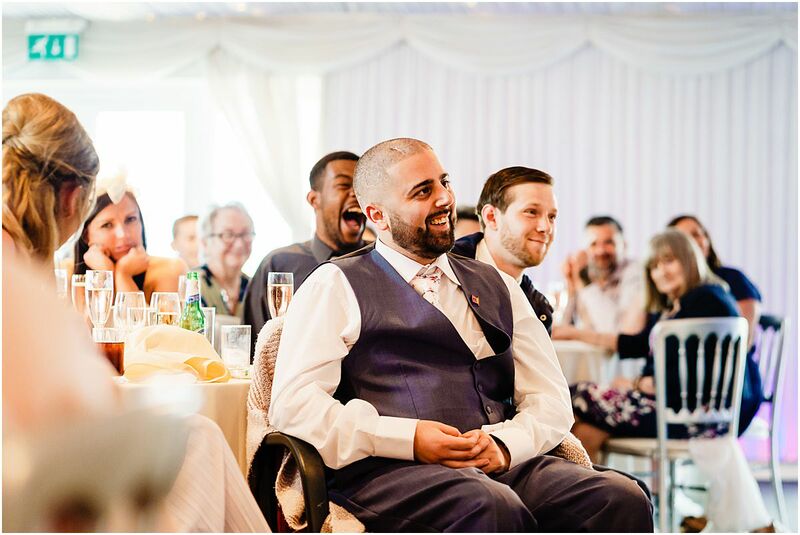 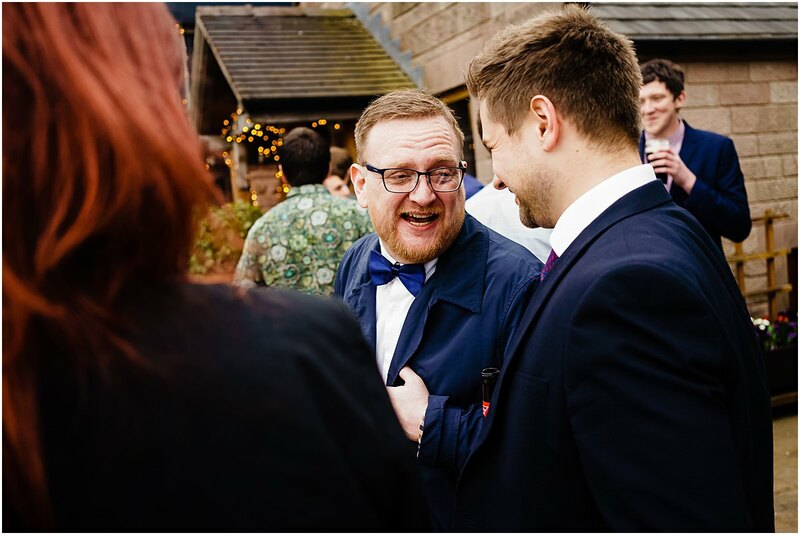 I could see Mark was holding back his emotions as Shareen walked down the isle. 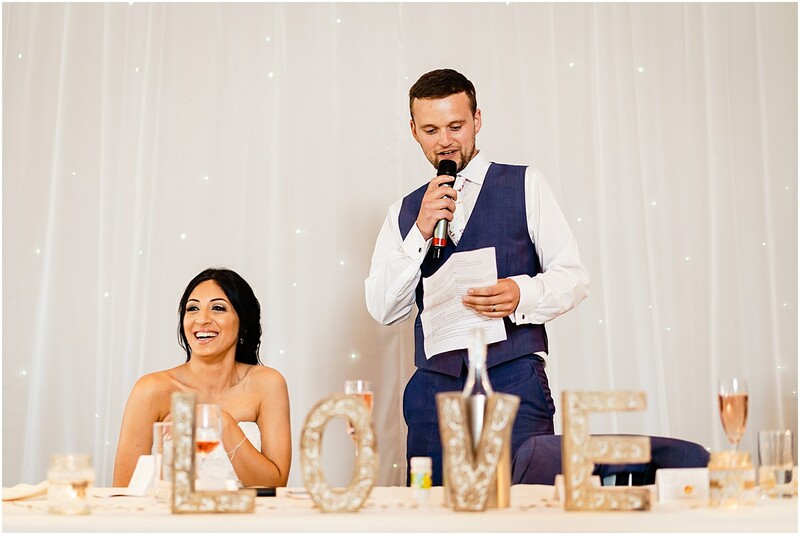 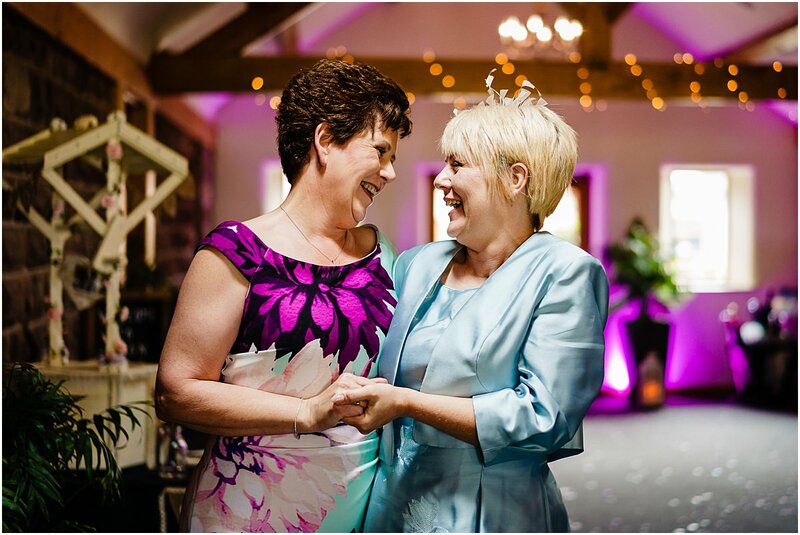 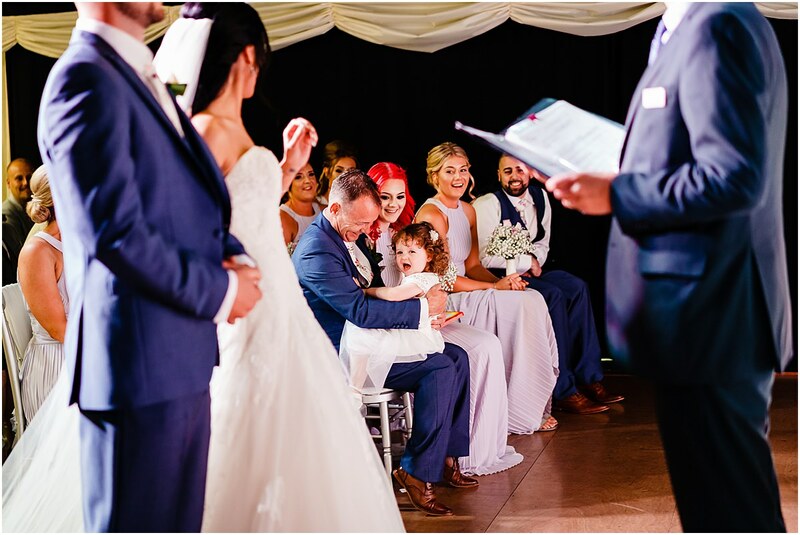 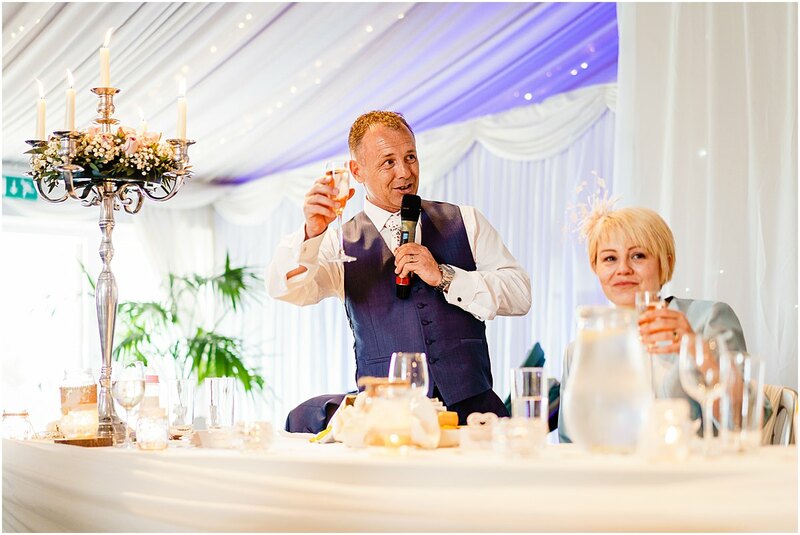 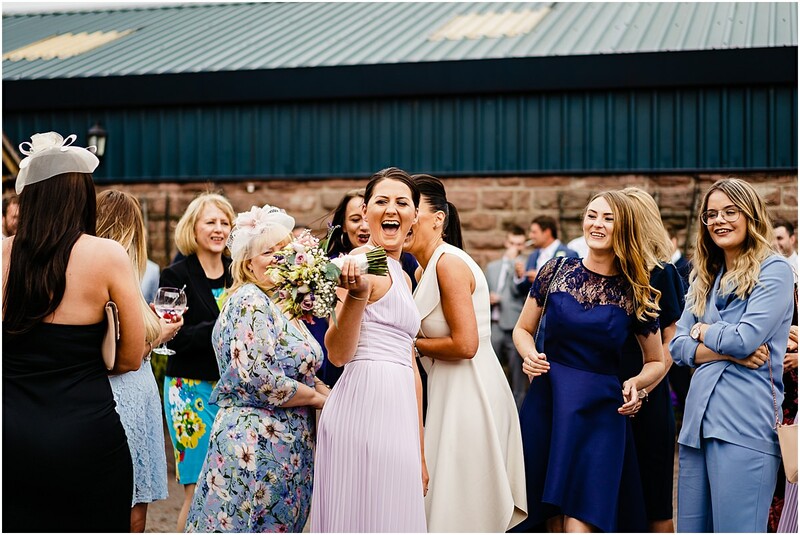 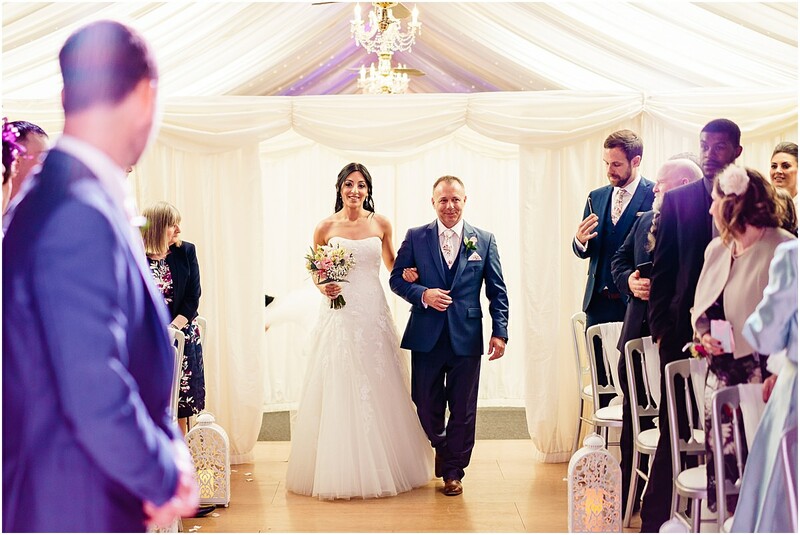 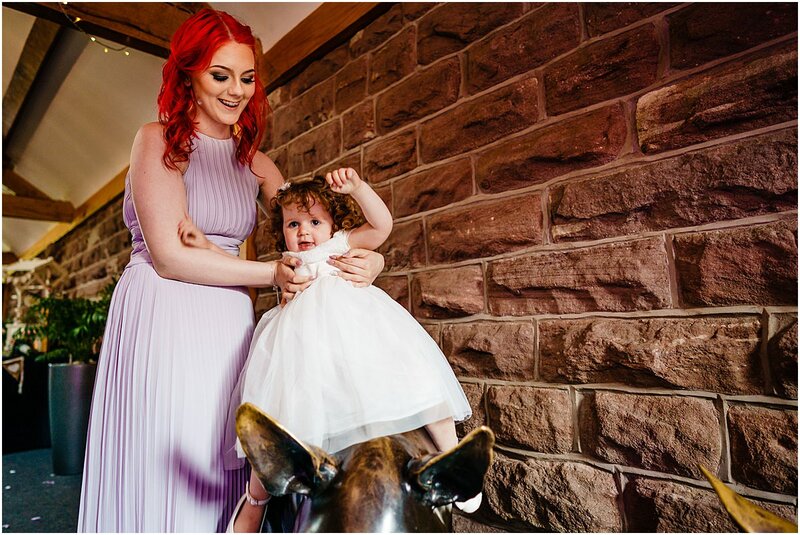 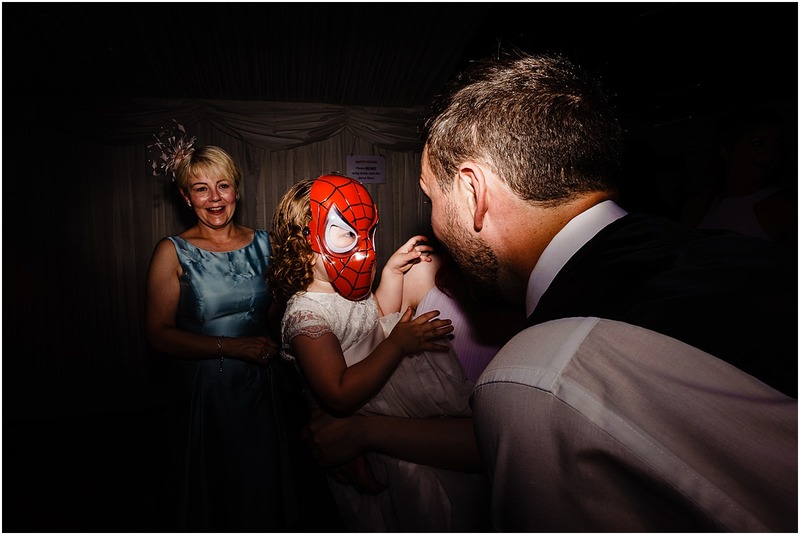 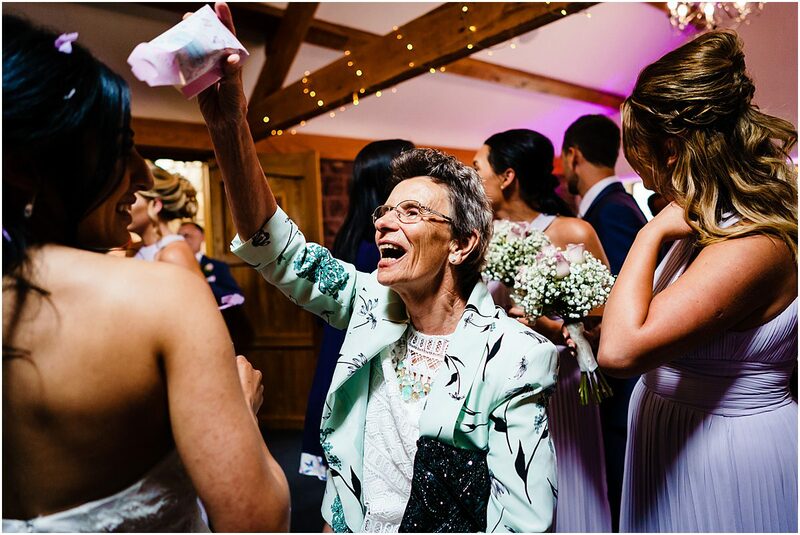 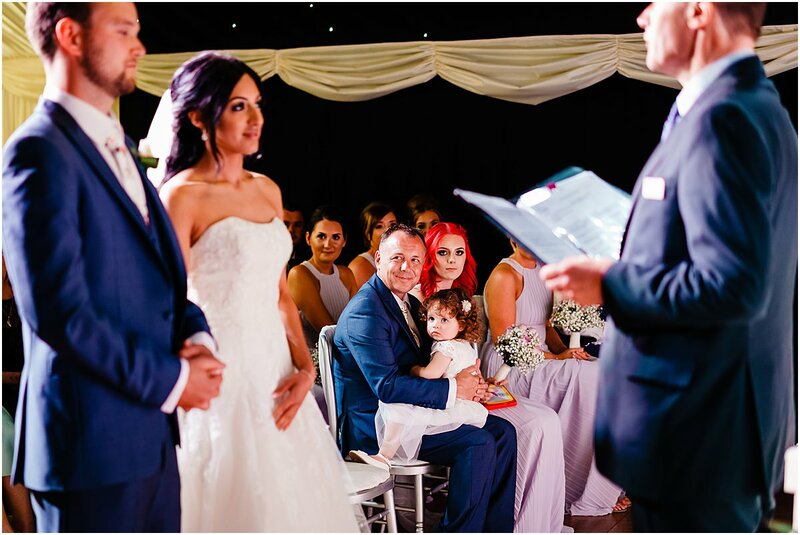 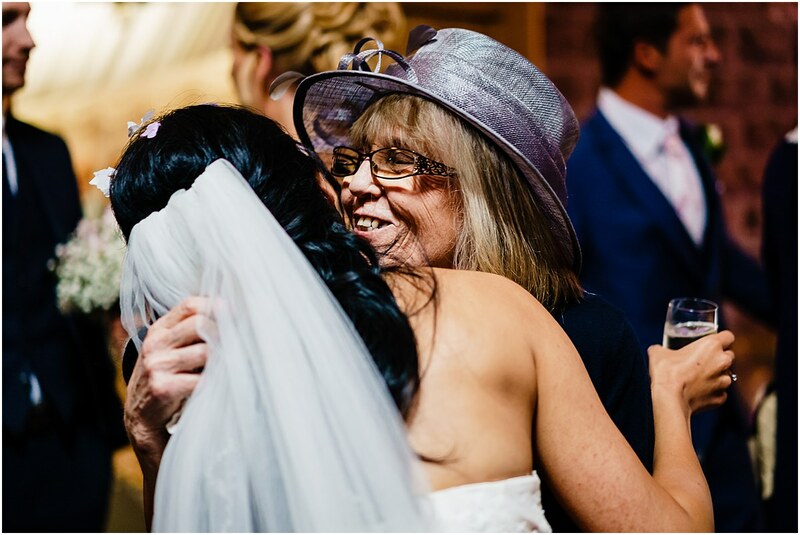 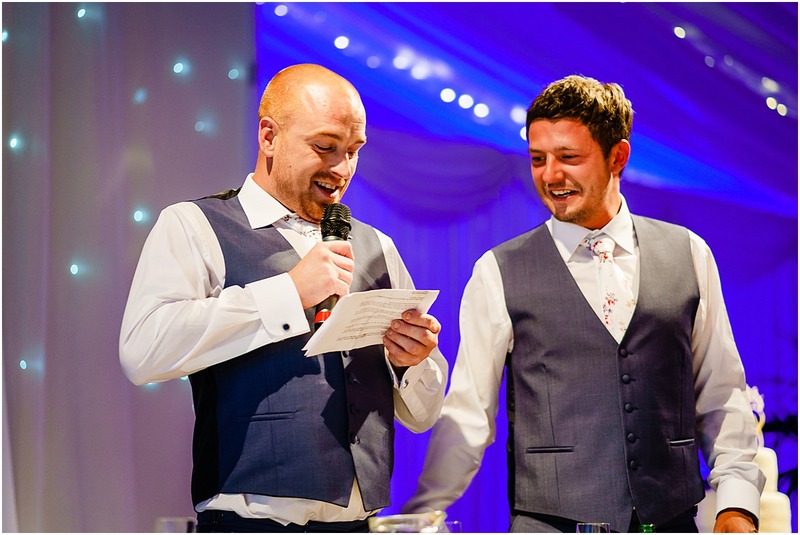 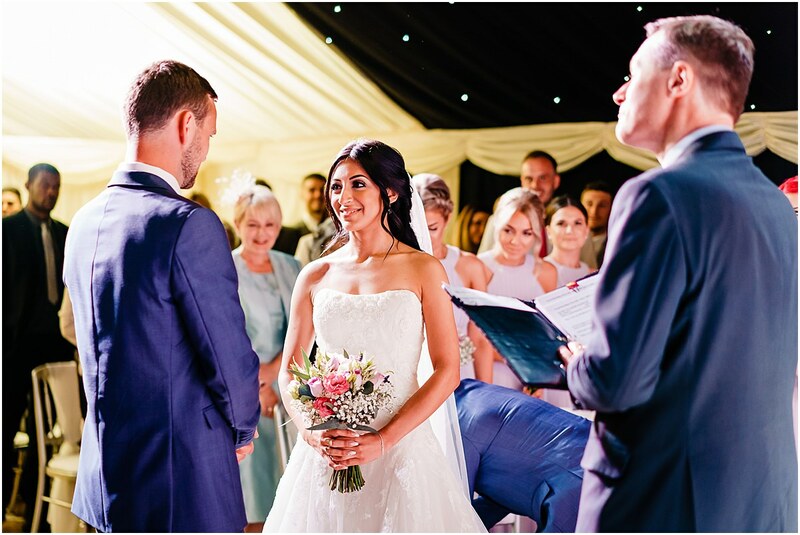 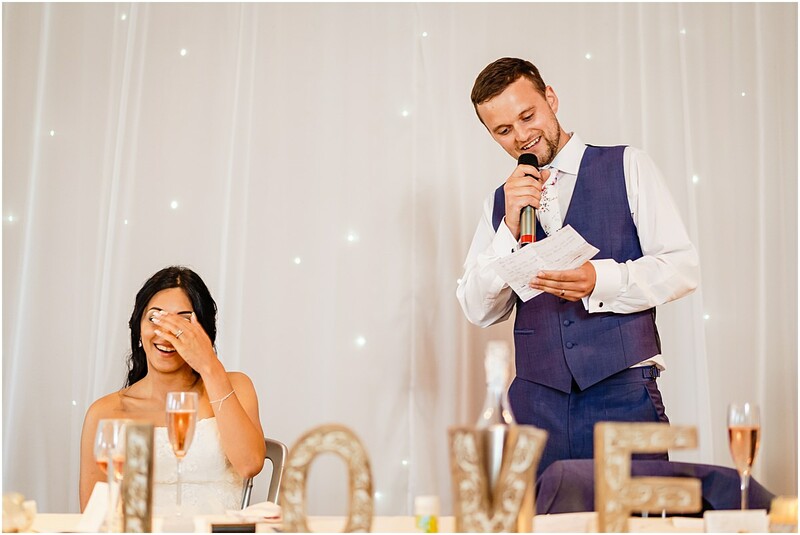 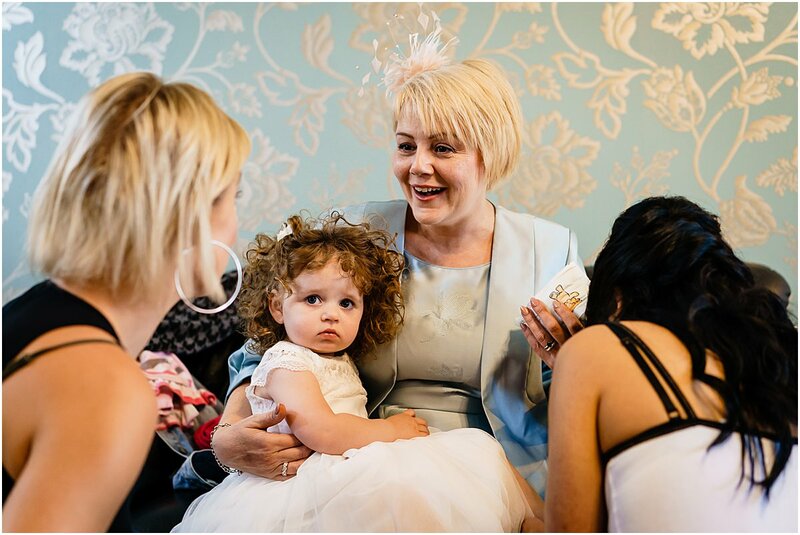 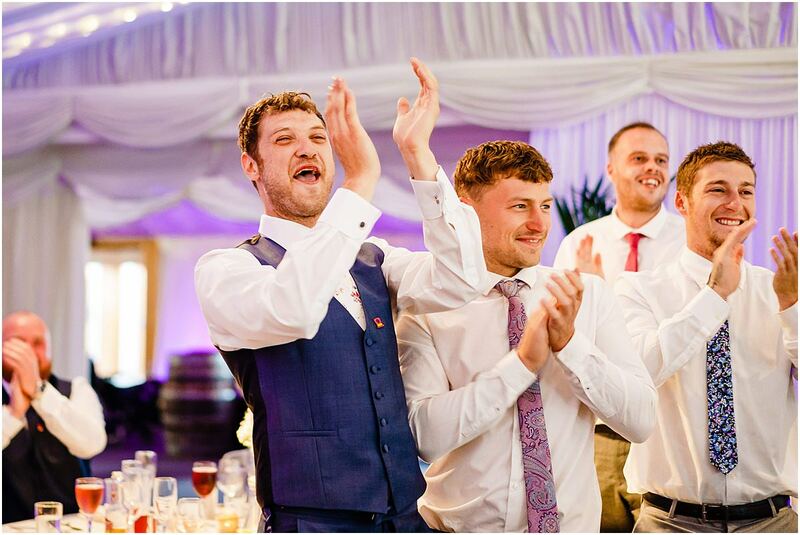 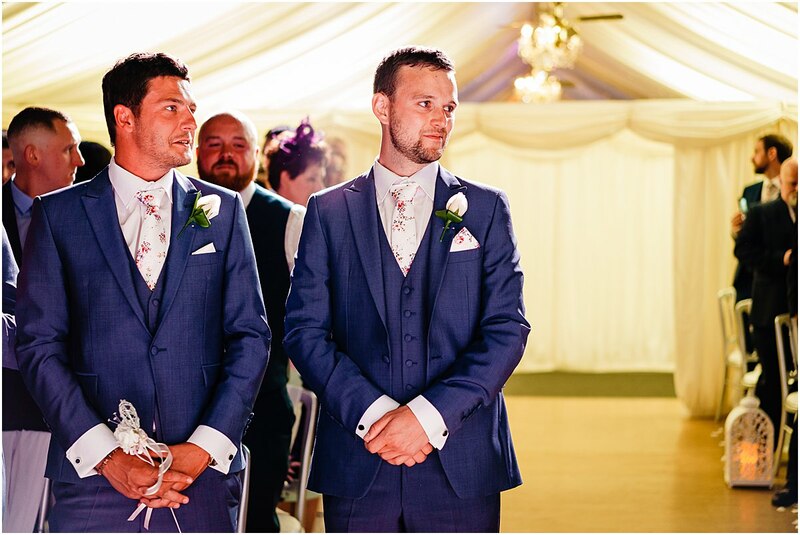 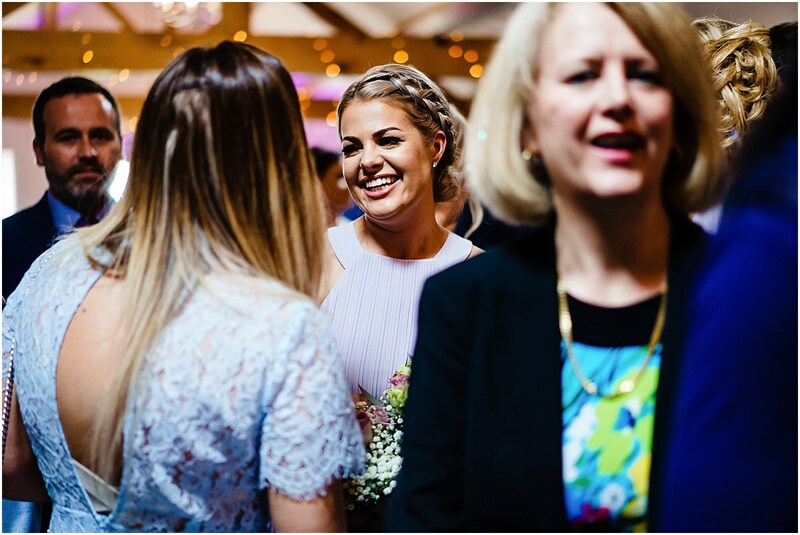 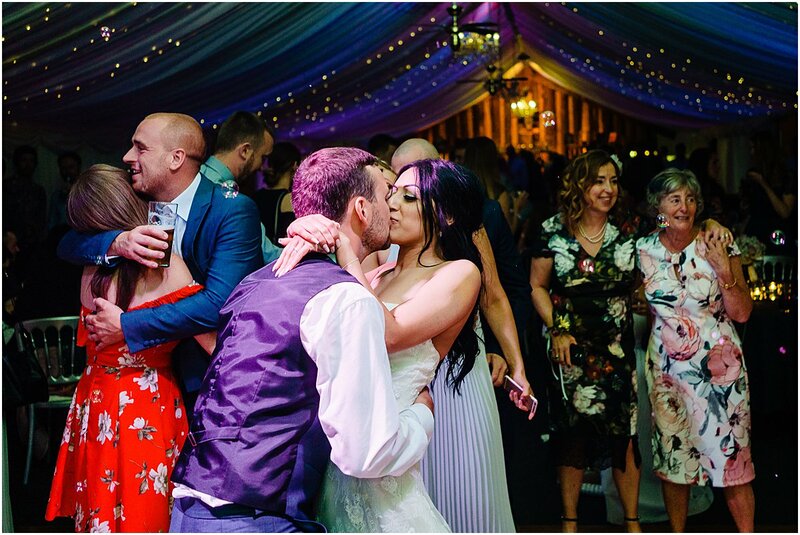 However, any nerves and formality was soon quashed when the couples daughter called out to her “princess mummy”….brilliant! 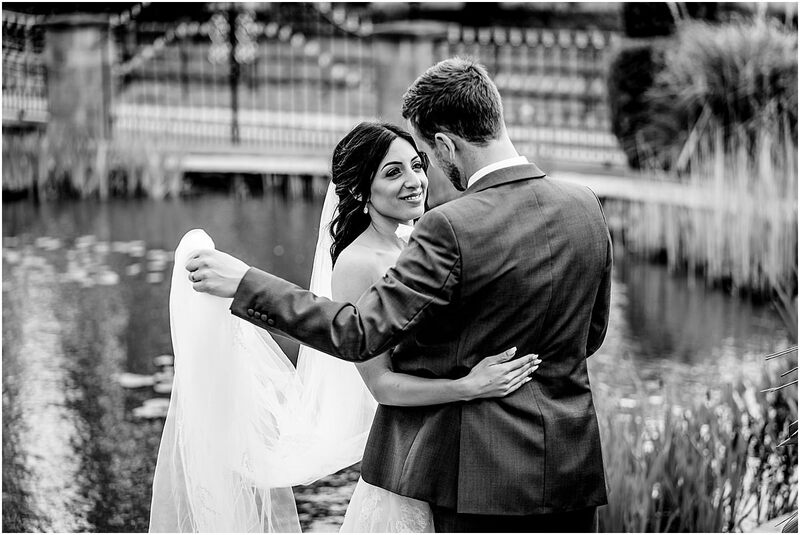 Spring weddings can sometimes throw some challenging weather into the mix. 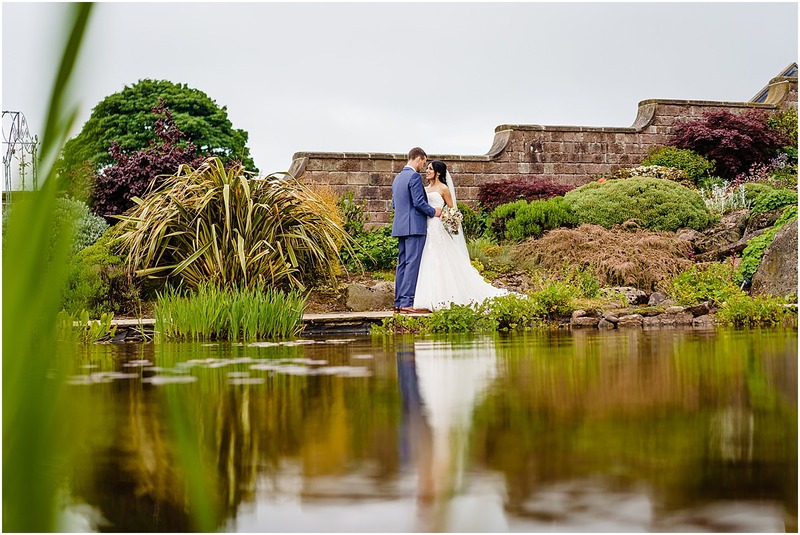 It was a little cold and windy on the wedding day, but that didn’t stop us getting out and shooting some quick portraits about the stunning grounds. 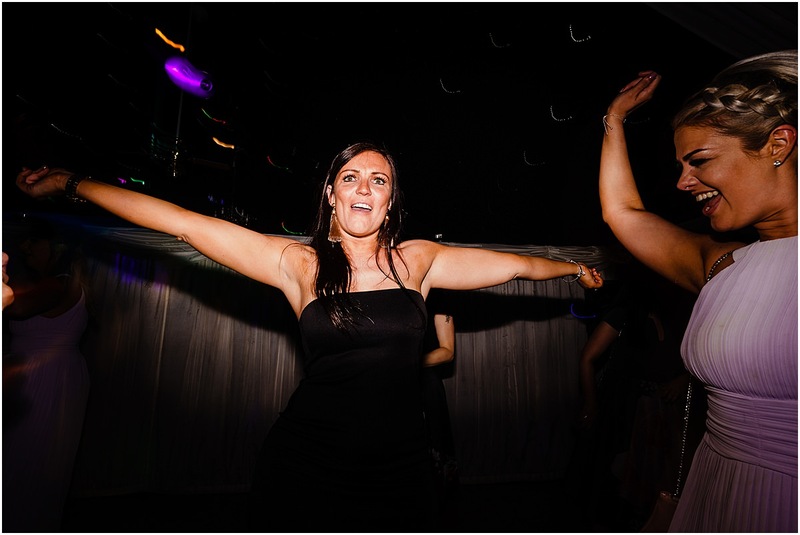 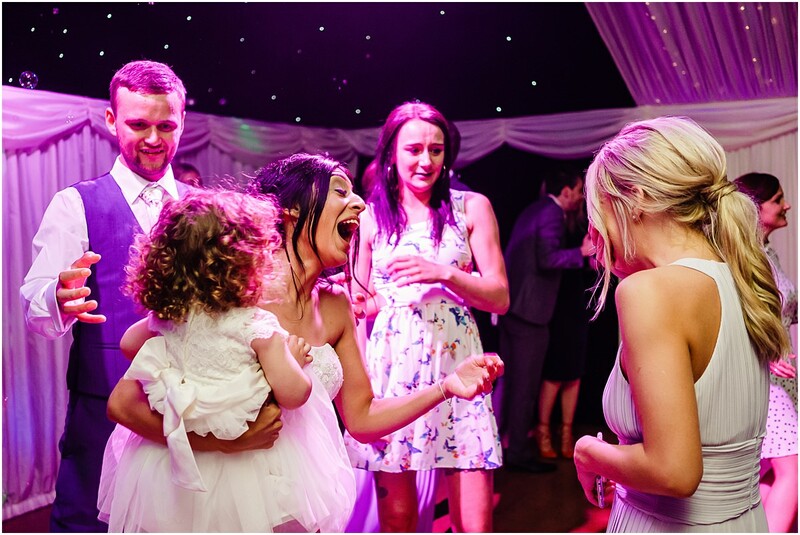 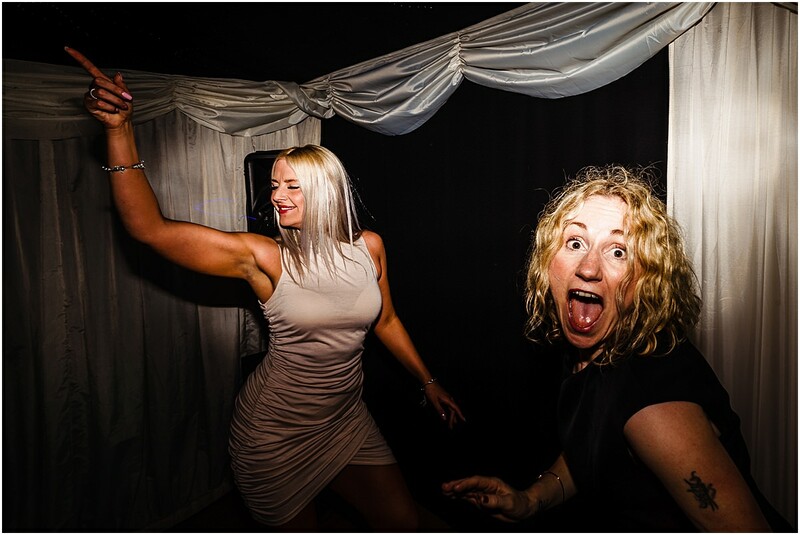 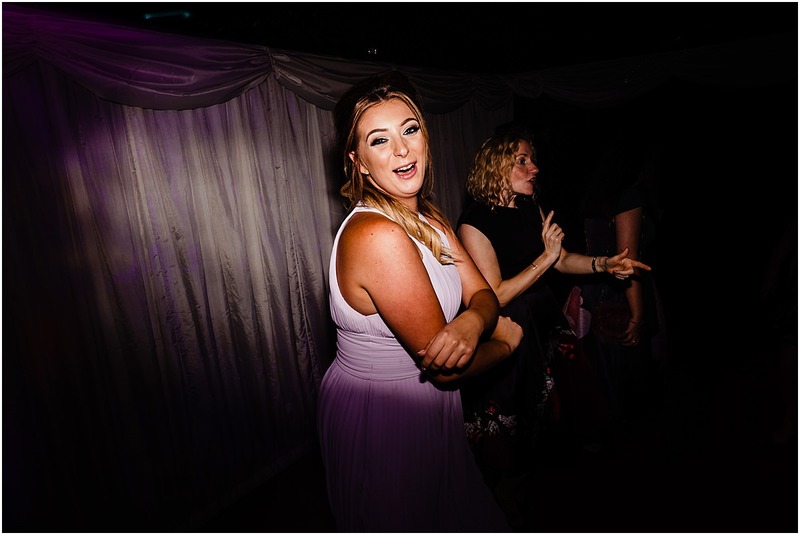 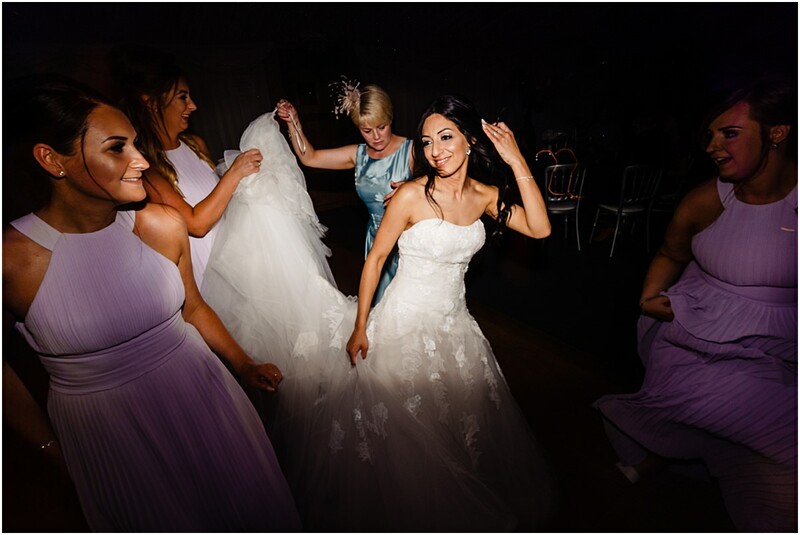 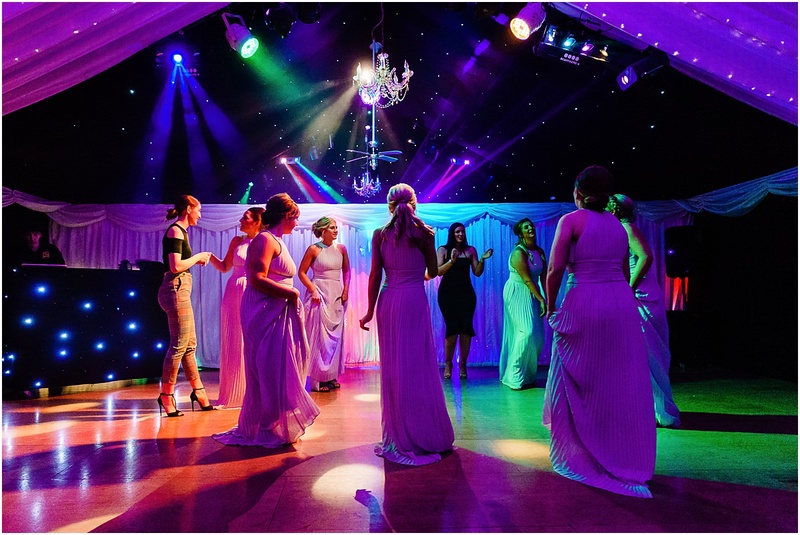 Later into the evening The DJ Krissi B kicked off and it wasn’t long until the dance floor was rocking as Shareen and her bridesmaids danced the night away! 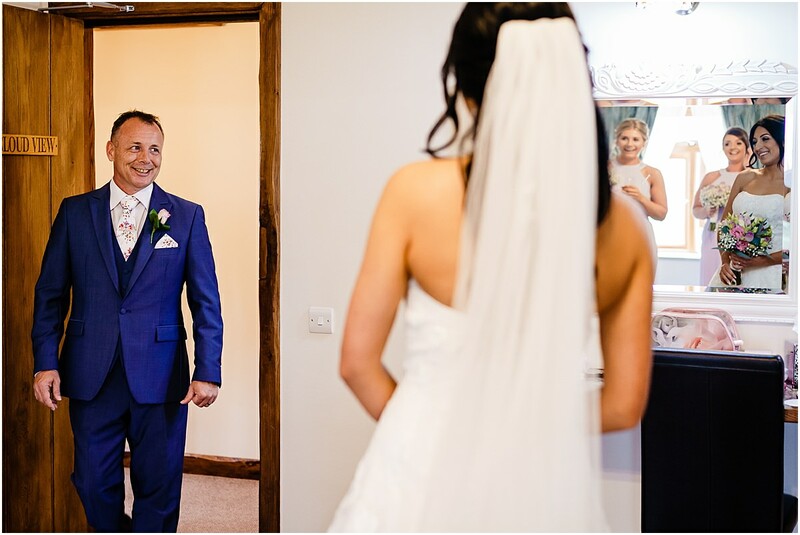 This was a wonderful wedding at Heaton House Farm and I’m very pleased Mark and Shareen booked me to be their wedding photographer. 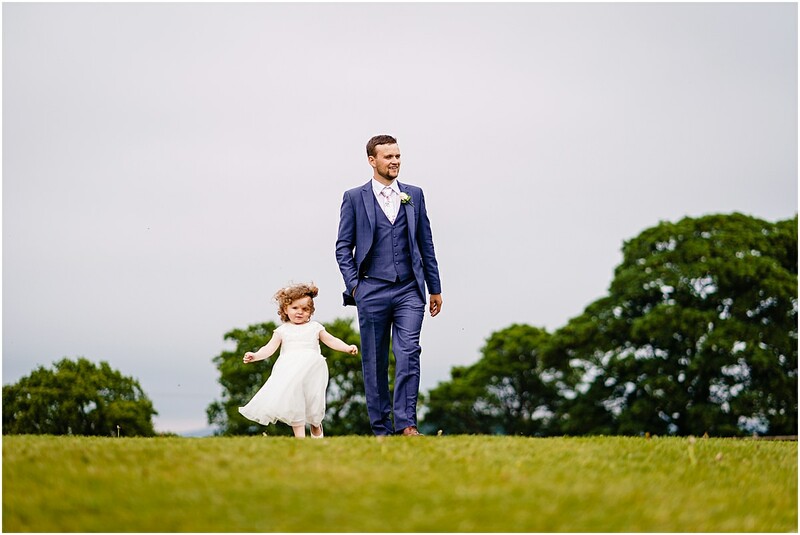 Please do get in touch if you’d like a relaxed style of wedding photography at your wedding.